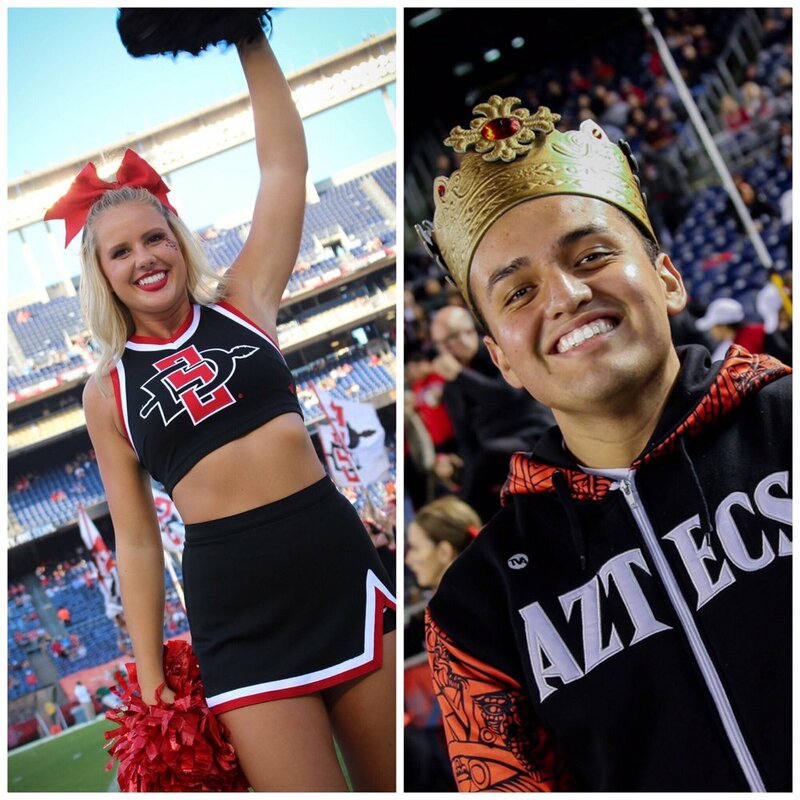 We are proud to announce that our Cheerleaders of The Game for the November 24th Aztec game against Hawai’i are Peyton Nelson & Christian Velasquez! Peyton is a senior who is majoring in Business Marketing and comes to our program from Colorado Springs, CO. She is currently in her fourth season with SDSU Cheerleading. Christian is a senior who is majoring in Public Administration. He comes to our program from Calexico, CA and is currently in his first season with SDSU Cheerleading. Congratulations to you both!! You make us all proud to be Aztecs!